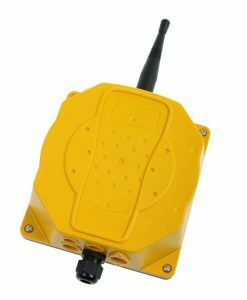 The Corvus goes a step beyond the wireless Pyxis remote when it comes to advanced communication. 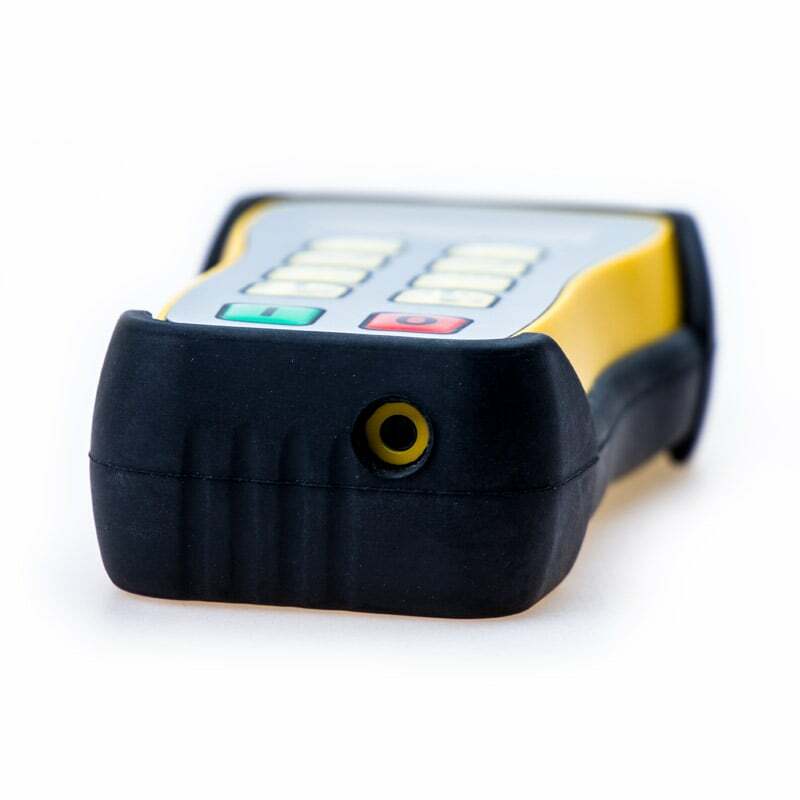 With the Corvus radio remote control it is possible receive feedback through LED’s or a buzzer. 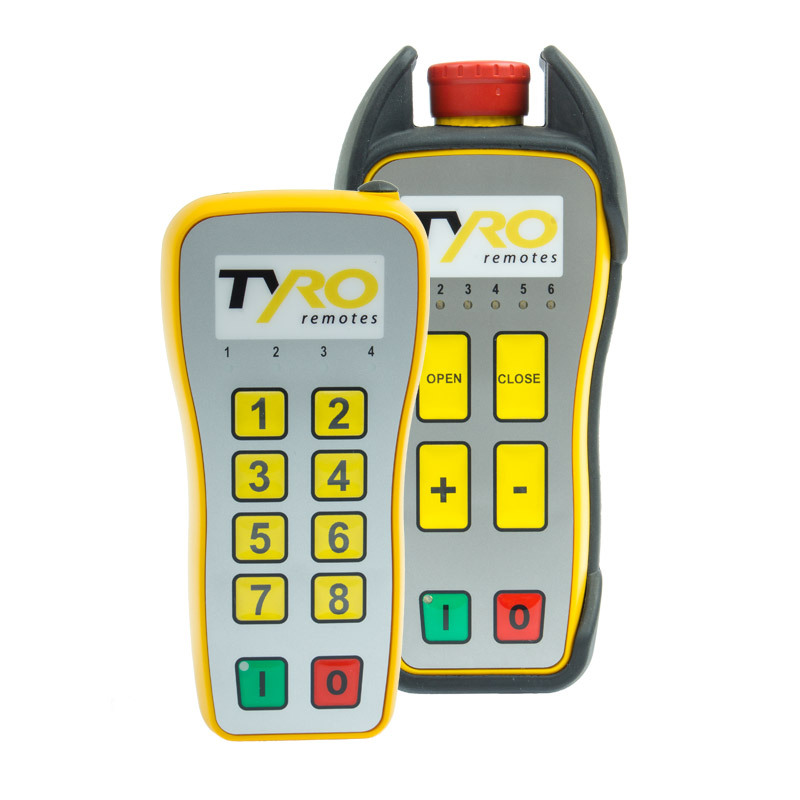 For this reason the Corvus remote is utilized in a wide variety of applications. 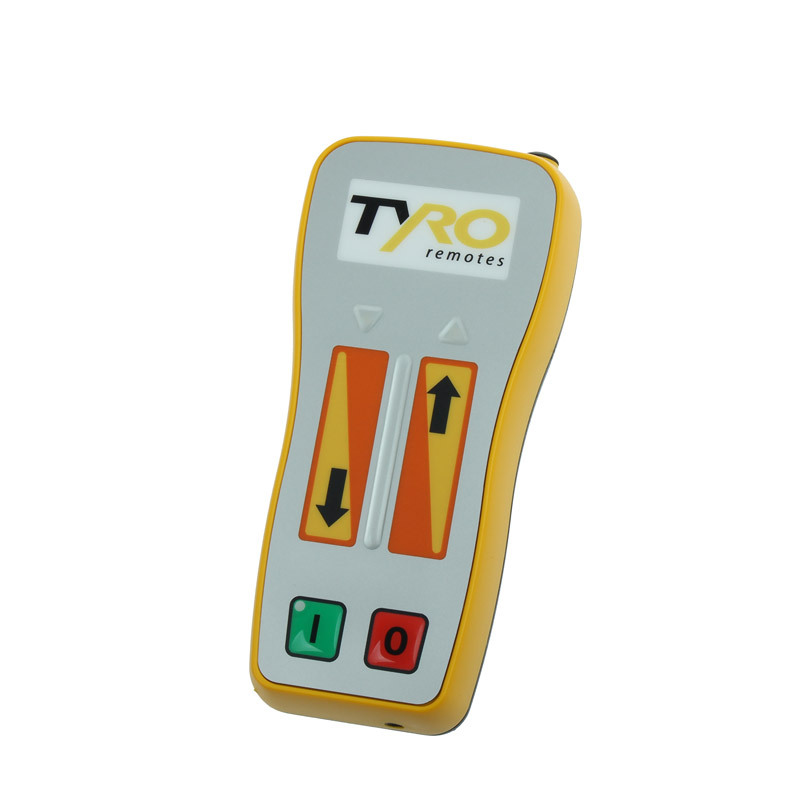 The remote control from Tyro Remotes has a standard range of 250 meters in open spaces. In some applications it’s of great importance that you know for sure that the signal has been properly transmitted after you’ve given a command by pressing a function key on the remote. 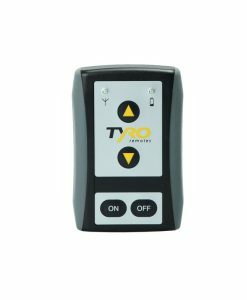 The Tyro Corvus remote control comes equipped with an integrated buzzer and LED’s, that give audio as well as visual feedback when the accompanying Pavo receiver and the controlled object have processed the command. 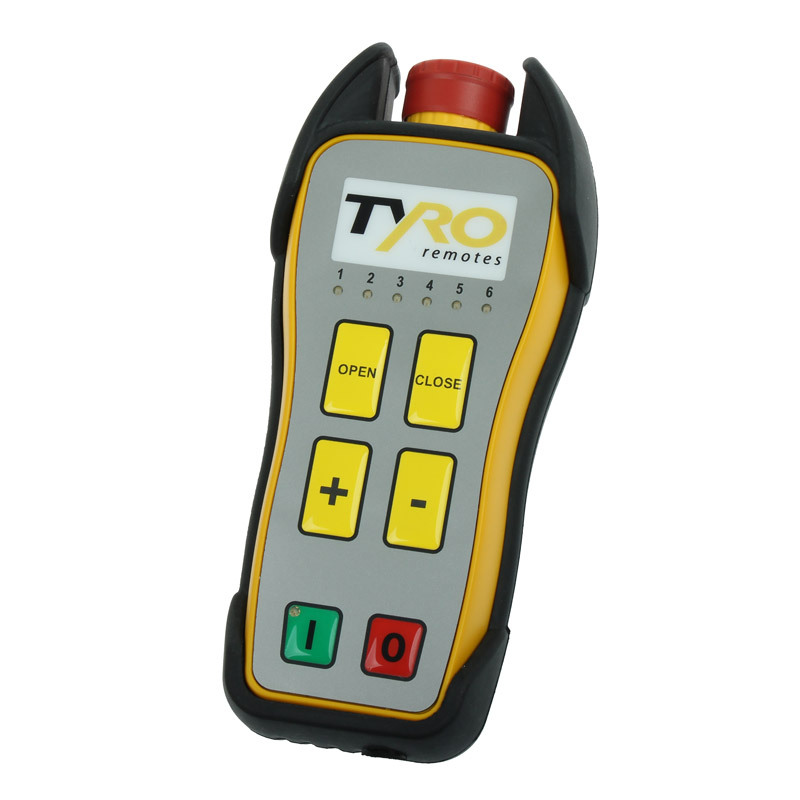 With a reaction time of less than 0,1 seconds, this absolutely increases the safety of your operating environment. 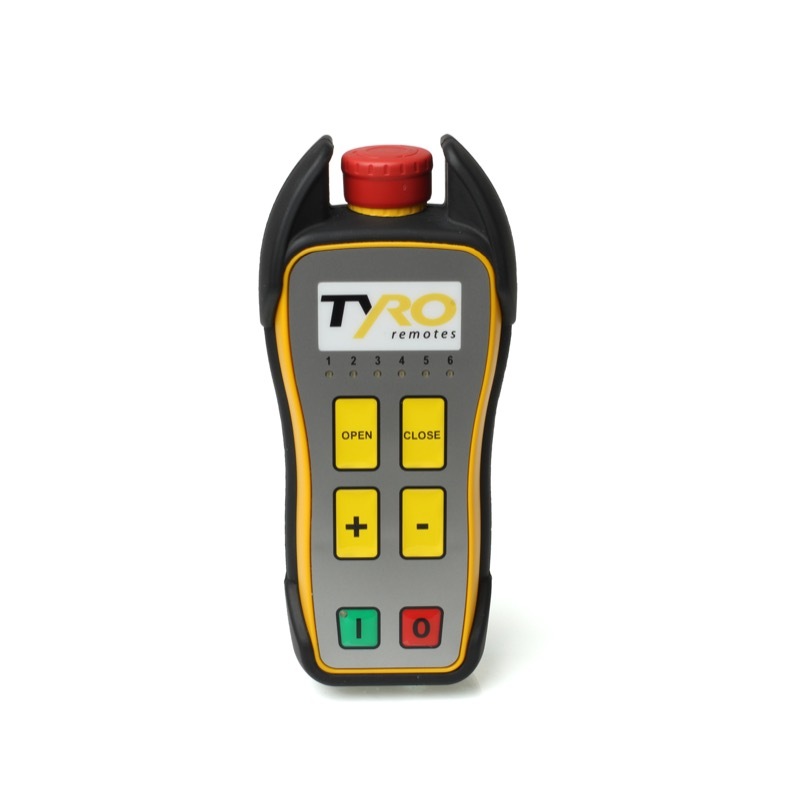 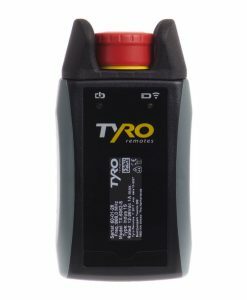 The Tyro Corvus handheld transmitters are manufactured to high technical standards, because of this they operate fault-free in even the harshest conditions and have a very long service life. 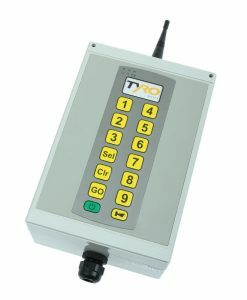 Because of the programmable PLC’s in the Pavo receiver this wireless control system can be utilized in many applications in a wide variety of industries. 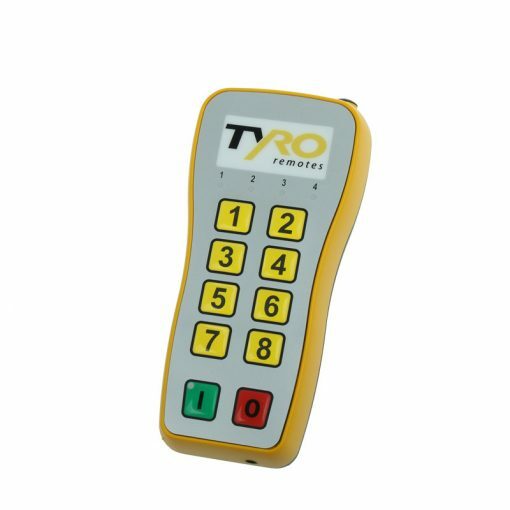 You can personalize the Tyro Corvus remote control to your own tastes; you can choose between different keyboard layouts and key-symbols. The transmitter can be programmed with a maximum of 36 functions and is always easy to operate, thanks to selection menu that utilizes 4 LED’s. 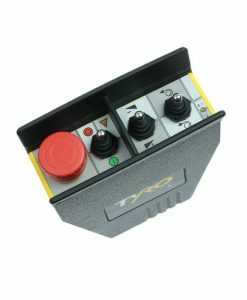 In addition, the Corvus remote is also available with a covered stop-switch. There are many applications that are suitable for the Corvus remote. 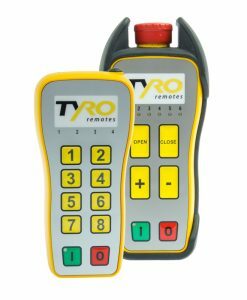 We have a customer that controls a generator with his remote and needs feedback so he knows whether or not the generator has turned on. 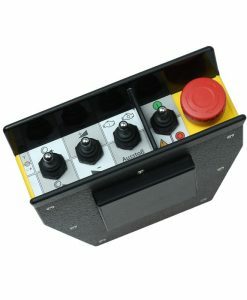 Another customer controls the flaps on his manure cart and receives feedback when certain positions have been reached. 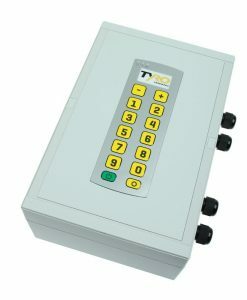 As you can see; the possibilities are many. 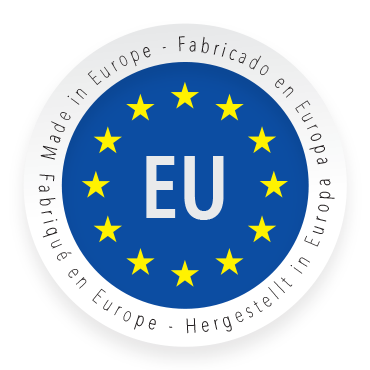 Contact us as soon as possible so we can help you with the right remote control for your unique application. 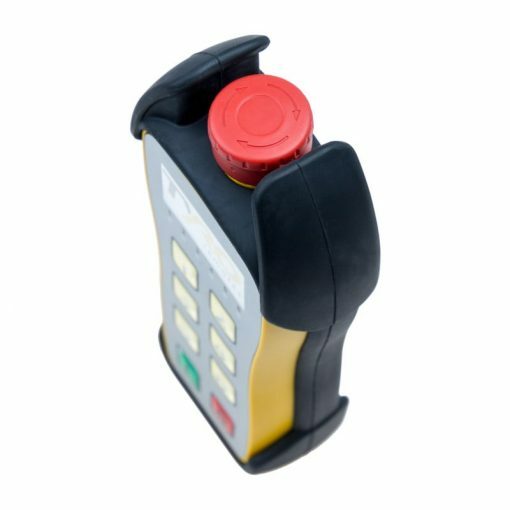 Receive the Corvus product sheet directly through your email.